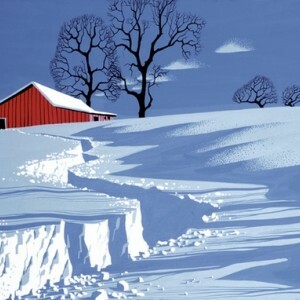 I had never heard of Eyvind Earle until the other day, but I really like his style. Great work on his shadows, and a simple approach that still conveys realism. I think this piece (called Path in Snow)w, in particular, is gorgeous. So perfect.